Feldenkrais ~ Raise your hand if you’ve heard of it. The Feldenkrais method of creating “awareness through movement” was introduced to me by Naomi Preston and Karen Bumgarner during the Connected Riding seminar they offered last spring. Feldenkrais lessons, or “floor exercises,” talk practitioners through a series of movements intended to break down the mental barriers that we unconsciously set up as we progress through a life of repetative motion, injury, etc. You’d be amazed at how addressing the brain can free the body to move as it should. You have to try this! Ancestral health experts like Chris Kresser also note that Feldenkrais offers the same set of benefits as do other mind/body practices like yoga, meditation, and prayer. My favorite set of Feldenkrais lessons is this vintage collection by Bruce Holmes. Paleo Nutrition ~ A few years ago, after extensive reading on the subject, I took a sharp turn off the vegan highway and headed down the road to paleo. Dumping grain from my diet (especially gluten grains) and remaining clear of all processed foods and sugars dramatically improved my leanness, strength, and overall feeling of well-being. My metabolism is now conditioned to run primarly on fat rather than carbohydrate, which means that I don’t experience hunger crashes. I can comfortably go 20 hours or more without eating, and nearly always fast for 14-16 hours between dinner and breakfast. It also makes packing ride food quite easy: Pre-cooked meat (for Old Selam, it’s roast leg of lamb — yum! ); clotted cream (an English product similar to butter, but nicer to eat right off the spoon); nuts (raw macadamias when I can get them); home-dried fruit (in limited quantity — too much sugar otherwise! ); coconut water (natural electrolyte source); and canned fish (tuna, salmon, and kippered herring). Simple. I especially appreciate the calorie density of the clotted cream and nuts during holds, because riding with too much volume on my stomach is no fun. I don’t recommend trying to get through an endurance ride on mostly protein and fat until you’re accustomed to it, though! It does take 2-4 weeks for most people to adjust to eating less carbohydrate. If you want to learn more about paleo eating, check out the links provided here. Trust me, paleo meals made at home are much more exciting than the ones I take to rides. Coconut Water ~ I mentioned this above, but it deserves more attention. The pure products (just coconut water, without additives or sweeteners) provide an astonishing electrolyte whack, and they taste great. I consume them only at rides because I don’t need that kind of support for my daily activity (or even tough heavy-lifting workouts), and they surely help me recover from long, sweaty days on the trail. I drink about 1/3 of a bottle during the ride and save the rest for afterwards; too much during the ride seems to upset my stomach. Chocolate Covered Espresso Beans ~ I usually ride cavalry (without crew), and there’s not time to make coffee in the morning. Besides, coffee = having to pee on the trail. What’s a girl to do for her caffeine fix? Eat a handful of the espresso beans from her Christmas stocking, of course! Magnesium and Potassium ~ I’m not a huge fan of isolated nutritional supplements, but I do pay attention to this pair. Magnesium helps prevent muscle cramping and fatigue (among other things, such as aiding with sleep quality), and potassium is part of the electrolyte mix that contributes to hydration, proper muscle function, and more. I drink Natural Calm nightly for magnesium, and include potassium salt (aka “lite salt) in my cooking. Advil ~ I rarely take drugs, even over-the-counter NSAIDS. (They’re proven to compromise the gut lining, which leads to all sorts of complications over time.) However, pre-loading with a couple Advil tabs before a 50 does cut down on inflammation and discomfort. So I do it. But only at rides. Long Sleeves ~ I’m not in the sun-coward camp. I firmly believe that sunlight — unhampered by chemical sunblocks — is extremely good for us. However, sunburning is not. I consciously work on graduated sun exposure in order to get a protective tan, without burning, throughout each spring and summer. Even so, an endurance ride puts me out in the sun all day. That’s bit much. So, I wear lightweight, longsleeved shirts with mock turtlenecks. Voila! No need for sunscreen. No sunburn. Earlier this year, I found some good shirts made by 10,000 Feet Above Sea Level in the bargin barn at Sierra Trading Post. Can’t beat that! Handwarmer Packets ~ The days might be hot, but Northwest nights are often quite cold. (Someone posted on Facebook that it was 26 degrees at the Old Selam ridecamp last night. Ack!) Those of us without generator-warmed living quarters in our horse trailers have to get creative to stay warm. My favorite method is to wear double socks to bed, with those shake-to-activate handwarmer packets stashed between the layers. On really cold nights, I wear a fleece vest with more handwarmers in the pockets to keep my core warm. Works great. Ok, your turn. How do you take care of yourself at rides? Friday evening. Mid-June. 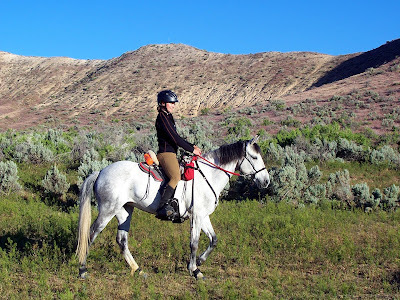 Consolation has enjoyed a two-week holiday following her 60-mile, top-ten finish at Owyhee Fandango. I’m excited to get back to riding. But, I’ve had a long day at work. 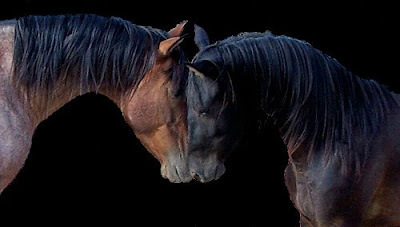 I decide to loosen her up with a few minutes of liberty work in the round corral, then saddle up the following morning. We start at the walk. Mosey along, do a few circles. Her behavior is typical. No cause for concern. I move her up to a slow trot, to continue warming up. A few rounds of the corral go by. Wait a minute. Is she off? I squint at her hindquarters, her back, her head. Listen to her hoofbeats. Isn’t she a touch short-strided behind? If so, it’s subtle. I ask for a faster trot, the better to judge possible lameness. She responds, but sluggishly. It’s hard to tell whether this is her signature energy-conserving attitude, or something more. At least, it’s hard to tell for another thirty seconds. Then it becomes obvious. Something is very wrong. Consolation’s spine hunches with discomfort. Her head rises, ears cocked back, alarmed. She tucks her tail between bunched hindquarters. And refuses to move. Now I know what I’m dealing with. I’ve never seen it before, except from a distance when another horse is being treated at a vet check, but I’ve read enough to be sure. Myositis. Exertional Rhabdomyolysis. Whatever you want to call it, Consolation is tying up. 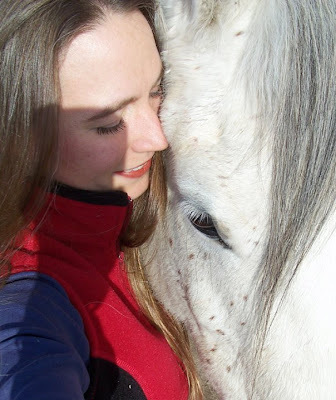 Like many conscientious horse owners, I knew the basics of ER, including the fact that it remains a rather mysterious and poorly understood syndrome. All the same, as Consolation recovered, first at the veterinary hospital and then during a month’s layoff, I set about investigating what had happened, and why. 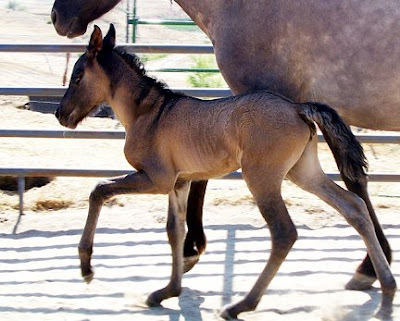 What is ER and how does it affect a horse’s body in the short and long term? 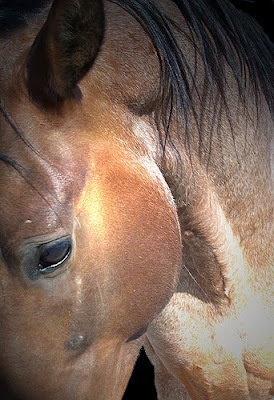 What factors appear to predispose a horse to ER? 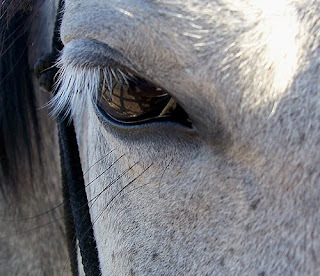 How should a horse owner identify and respond to an episode of ER? How is ER diagnosed and treated by a veterinarian? 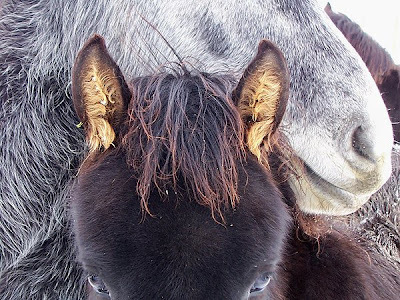 How should a horse owner return a horse to work after an episode of ER, and what precautions can be taken to prevent initial or recurrent episodes? Please remember that I’m neither vet nor expert. I’m just a bookish nerd who loves my horse and doesn’t want to sit out any more race seasons. Feel free to comment throughout the series with your own experiences or additional resources. I look forward to your insight. 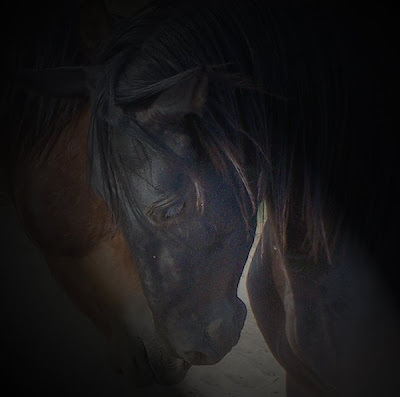 After all, ER is not uncommon in equine athletes. It pays to be informed. I’d venture a guess that most endurance riders keep track of their conditioning efforts by one means or another. Some hang large calendars in their garages and record distances, weather, and recoveries in the spaces. Others keep notebooks or planners in their tack rooms. Personally, I use Excel spreadsheets to not only to record actual workouts, but also to map in advance my entire year’s conditioning and training schedules for eight horses. This method enables me to progress through an intentional series of workouts designed to train and condition each horse at an appropriate pace. Thanks to my Endurance Conditioning Log, I know today exactly how far and fast I’ll be riding Consolation on August 22nd next — 20 miles at 7.5 mph, thank you very much. (Yes, I’m sure Sigmund Freud would have had a field day with me. Why do you ask?) Obviously, a plan is only that. The beauty of an electronic log is that it can be easily updated to accommodate a horse’s changing needs or a rider’s shifting schedule. 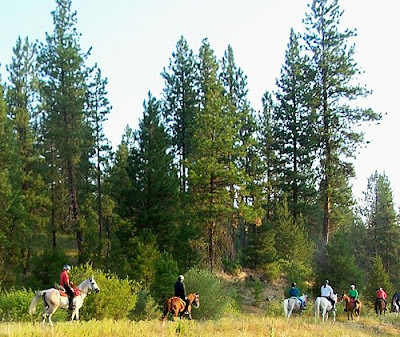 Under the My Files tab, you’ll find a folder labeled Endurance Riding Tools. In the folder, you’ll find the Endurance Conditioning Log, as well as my Endurance Conversions Chart. When you open your newly downloaded 2009 Endurance Conditioning Log, you’ll find an Introduction tab at the bottom left side of your screen; click there for instructions on how to use the Log. If you aren’t an Excel expert, never fear; the worksheets are protected so you can’t possibly screw up the formulas. If you are an Excel expert (unlike me), feel free to unlock the cells and go to town. I’d be pleased to hear your ideas for improving the Log. In addition to a blank template, the 2009 Endurance Conditioning Log includes sample data — my conditioning plans for Aaruba and Consolation. Thanks to our winter weather, you’ll need to scroll down to view these plans, which won’t spring into action until March. Of course, you’re welcome to overwrite the sample data with plans for your own horses. Has this blog been useful to you? Under the My Files tab, you’ll find a folder labeled Endurance Riding Tools. In the folder, you’ll find a little Christmas present from my farm to yours. Okay, okay. I’m a nerd. But hear me out. I created this little tool to help me pace Aaruba during rides. 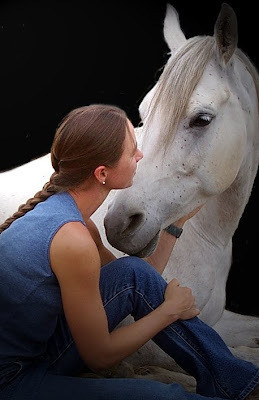 I keep a copy posted in my horse trailer and another copy in my saddlebag, where it can spare me those simple mathematical conversions that seem to grow more difficult under conditions of stress and exhaustion. Speed/Pace Conversions — This chart simply converts minutes per mile (which is what you’ll get if you time your ride using a regular wristwatch) to miles per hour (which I find more useful for comparisons to other people’s conditioning programs and such). Average Speed Conversions — This chart works in conjunction with the Speed/Pace Conversions chart to tell you how long a particular distance (in miles) will take (in minutes) at a given speed (miles per hour) or pace (minutes per mile). Pulse Conversions — This chart converts beats per minute to beats per 10 seconds, making it easier for a brain-dead rider to take a quick pulse using a stethoscope. Time Conversions — This chart simply converts time in minutes to time in hours. I find it useful on those occasions when I feel too weary to mentally convert 380 minutes to 6 hours, 20 minutes. The reverse conversion will make the Average Speed Conversions chart easier to read. The spreadsheet is not locked, so feel free to make any changes suitable to your personal use. If you have ideas for its improvement, let me know and I’ll be happy to consider them. 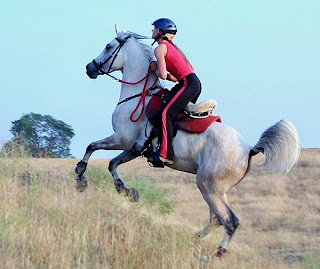 Conditioning for Your First Endurance Ride — This 2001 article from the Southeast Endurance Rider’s Association provides suggested workout schedules for three months of conditioning toward a first Limited Distance (LD) ride. It includes approximate heart rate recoveries you should expect, as well as other concise details that made this one of the resources upon which I relied most heavily in designing Aaruba’s early conditioning program. 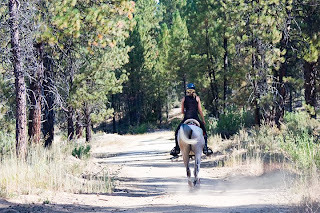 Tips and Hints for Endurance Riding — This resource from Old Dominion Endurance Rides, Inc. offers general advice about the first three months of conditioning. Their schedule is a bit less conservative than my own, stating that a horse should be ready for an easy LD within 2 months instead of 3 months, which is a more common recommendation. Is Your Horse Fit? The Physiology of Conditioning — This document is more scientific than the others, so pour yourself another cup of coffee before diving in. 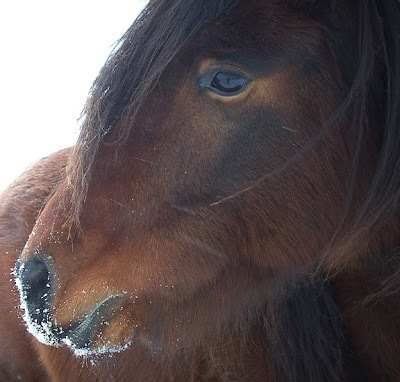 If you’re serious about conditioning, I highly recommend periodic reviews of this article from Alberta, Canada’s Department of Agricultural and Rural Development, as it explains the events taking place in your horse’s body as it undergoes preparation for endurance work. 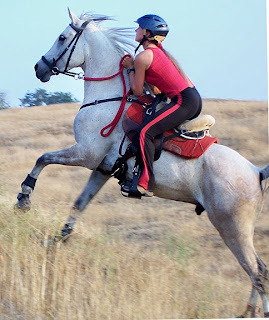 American Endurance Ride Conference — The AERC website is, of course, a fantastic resource for all things endurance. The “education” tab will direct you to numerous resources, including the Rider Handbook that I all but memorized during my years of waiting to become involved in the sport. Chapter Six of the Handbook includes some excellent conditioning information, including a recommendation that you spend 6 months preparing your horse for its first LD. Preparing the Endurance Horse — This document appears to be the transcript of a verbal presentation made by Eric Hought. As such, it’s a bit difficult to read, but I review it periodically because I believe it contains some good advice. 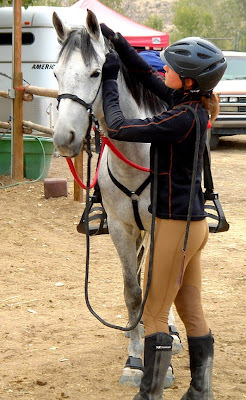 Though Hought addresses conditioning in general terms, he focuses on training for endurance, that is, preparing the horse mentally as well as physically. Hought suggests a very conservative method, stating that 1.5 – 2 years is reasonable for preparing for a first LD. 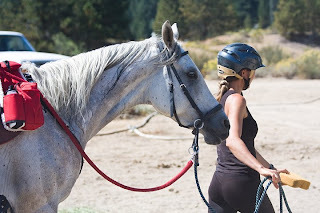 If you want to read more about training for endurance, check out Jim Holland’s Articles 1-9, which provide numerous, valuable recommendations that I have applied in training my own horses. Have you ever wondered exactly how endurance riders log their miles? I’ll share my (rather nerdy) method in an upcoming post, as well as the (possibly more practical) methods suggested by other riders. In the meantime, feel free to comment with your favorite resources for equine endurance conditioning programs. I’m always looking for more to update this list over time; I’m particularly interested in articles about conditioning up from LD and endurance, maintaining fitness in the off season, avoiding overtraining while building fitness during a busy ride season, and other topics less commonly addressed in resources designed for individuals just getting into the sport. Nearly four years passed between the day I learned of the sport of endurance racing and the day I first set hoof on the conditioning trail. During those years, I devoured books, websites, forums, and articles on the subject. I studied AERC and FEI rules, scrutinized veterinary advice, and pondered opinions about everything from tack to nutrition. As Aaruba’s training progressed toward readiness to begin conditioning, I concentrated my research efforts on the specifics of preparing a horse for the physical effort of endurance racing. 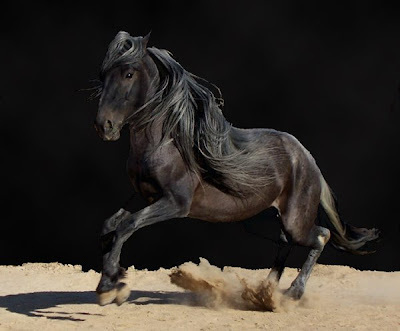 Though I found many excellent sources offering general advice about conditioning, including some guidelines regarding mileage and speed in the first four months of conditioning, I searched in vain for that which I most craved: sample records detailing the conditioning efforts of actual endurance horses at varying levels of fitness. This lack inspired me to include Aaruba’s Conditioning Log in the right hand sidebar of The Barb Wire blog. Consolation’s Conditioning Log will appear there very shortly. Now, I don’t claim to be an expert. I’ve just completed my first endurance season. I’ve accumulated all of 155 AERC miles, 50 of which are Limited Distance. However, I don’t think I qualify for blind-leading-the-blind status, either. I continue to refine my conditioning schedule in accordance with ongoing research, and I try to keep you posted on my successes and mistakes so we can learn together. I hope that my conditioning logs will serve as one of many references, especially for beginning riders in need of concrete examples. Of course, my way is not the only way, nor is it necessarily the best way. It certainly won’t work for all horses, all riders, or all situations. I tend to err on the conservative side, being that my primary concern is for my horses’ longevity in the sport, but I’ve suspected myself of over training at times. I prefer a highly goal-oriented, calculated approach that involves a lot of planning and spreadsheets. This is a strength, I believe, but it can be a weakness as well. 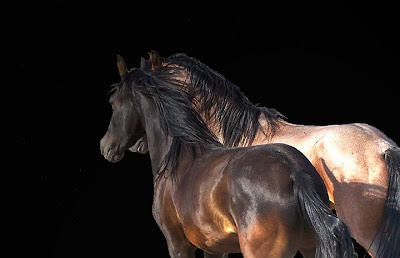 Though it’s important to progress through a series of planned workouts, gradually building speed, strength, and endurance in an intentional manner rather than throwing a casual armful of workouts at the horse and hoping they stick, it is equally important to allow yourself and your horse some flexibility. 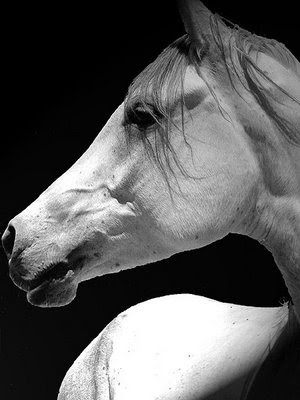 Horses, like people, have good days and bad days. Listen to your partner. Go faster or slower, longer or shorter if necessary. Observe him carefully and try to determine the cause of his shifting energy level or mood. This is the single most important piece of advice I can offer: Have a plan — but ride the horse and not the plan. 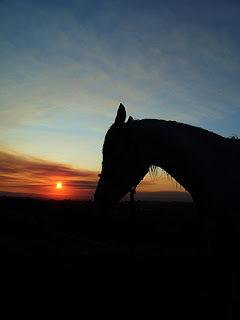 In an upcoming post, I’ll share links to my favorite resources on equine endurance conditioning. In the meantime, feel free to comment with your favorite conditioning tips or even a link to your own conditioning log. I’m always in the market for new ideas! A few days ago, Lynn at Laf’n Bear Studio wrote a post called Today’s Most Useful Tool. In Lynn’s case, the tool was a nail file. (Who’d have guessed?) My most useful tool today — and many days — is Google Earth. If you haven’t downloaded this free software yet, you are missing out. I employ it regularly to plan routes for conditioning rides. Using the “path” option on the “ruler” tool, I can zoom in on the roads near In the Night Farm and click my way to the exact number of miles Aaruba and I are due to ride. On the rare occasion we leave without a route in mind, I can trace our path later to ensure the accuracy of our conditioning log. Bonus Tip: You can also use Google Earth for a cheap date. Just grab your sweetie, pop some corn, and snuggle in front of the computer for a tour of the world. Visit the summit of Mount Everest. Zoom in on the Taj Mahal. Compare the Great Pyramid to Chichen Itza. Just don’t expect to see Olympians in Bejing — most of Google Earth’s photos are several years old; those of In the Night Farm certainly predate our arrival. Too bad, really. Wouldn’t it be fun to spy on the in-laws?